More often than not, as fashion editors, we can call major trends six months (if not a year) out. But there's one micro-trend that keeps following me around that I didn't see coming. It seems like every time I go to a high-street new-in section right now, I'm met by a sugary pastel corduroy jacket. There are no obvious catwalk references for this revival, and I can't even come up with a long list of influencers who have been wearing them. Even so, there's no avoiding this jacket on the high street this summer. 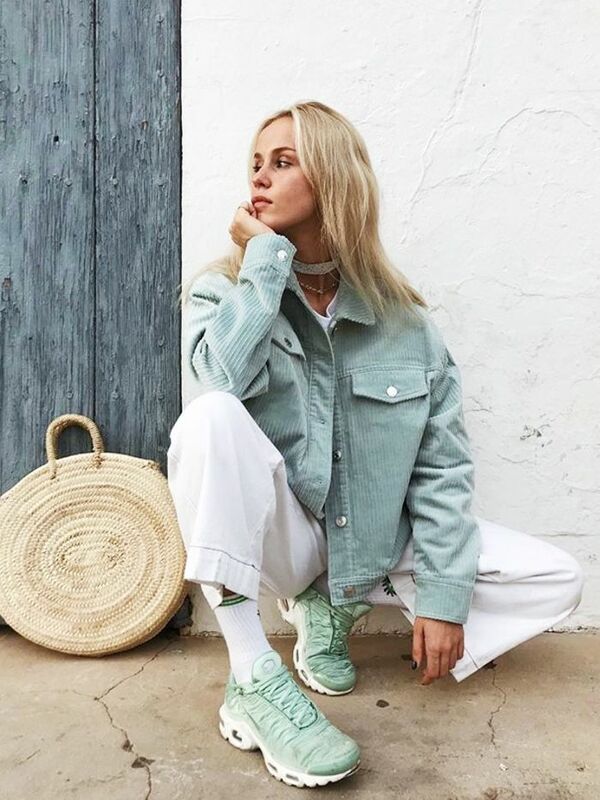 When it comes to this micro happening, it's all about saccharine ice cream hues, from Weekday's mint jacket to Urban Outfitter's baby pink style. In Mango's on-site model shots, the oversize, boxy salmon jacket is styled with many of the new autumn pieces, showing that this jacket isn't only for August. Scroll below to shop our edit of the four best ice cream–coloured cord jackets. The Mango jacket is oversize, giving it more of a menswear fit. We love this minty green. If you love baby pink, this is the perfect buy. Anyone else getting Nancy Wheeler from Stranger Things vibes? Next up, Zara has thrown everything it has into this one trend.